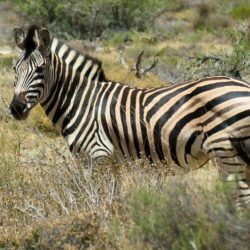 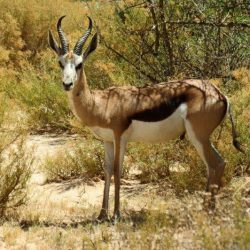 Enjoy our variety of mesmerizing game such as Oryx (Gemsbok), Blue wildebeest, Zebra, Springbuck, Duiker, Steenbok and the very elusive Klipspringer. 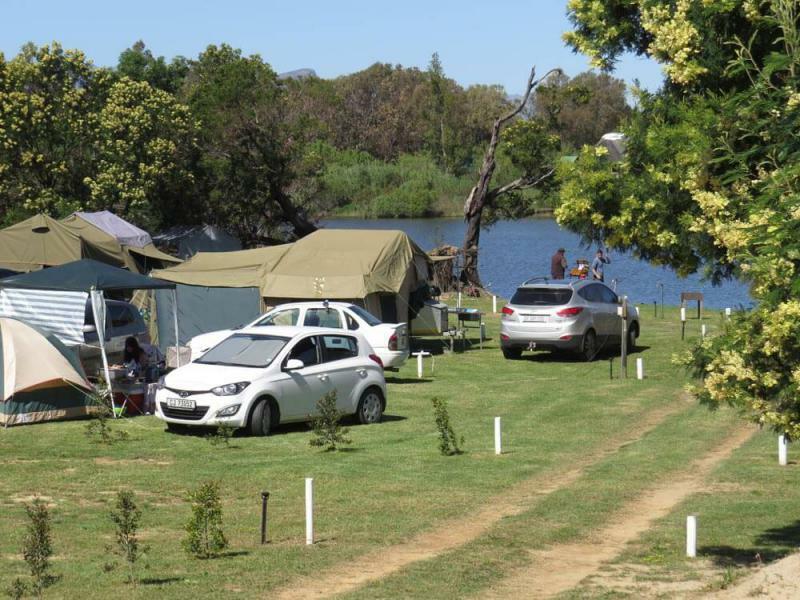 We also boast with a variety of graceful and extravagant bird species such as the Blue Crane, Fish Eagle, Water- and Spur Fowl. 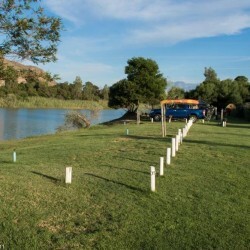 The footpaths along the river will guide you to the ideal look out spots from where you will be able to observe our spectacular birdlife. 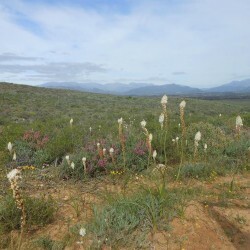 Klipkrans has a number of interesting and peculiar Reptile Species that hides under rocks and in our diverse flora species which include our well known Fynbos and even some Protea species. 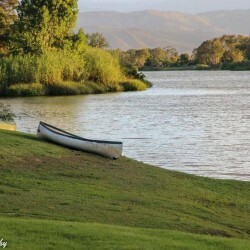 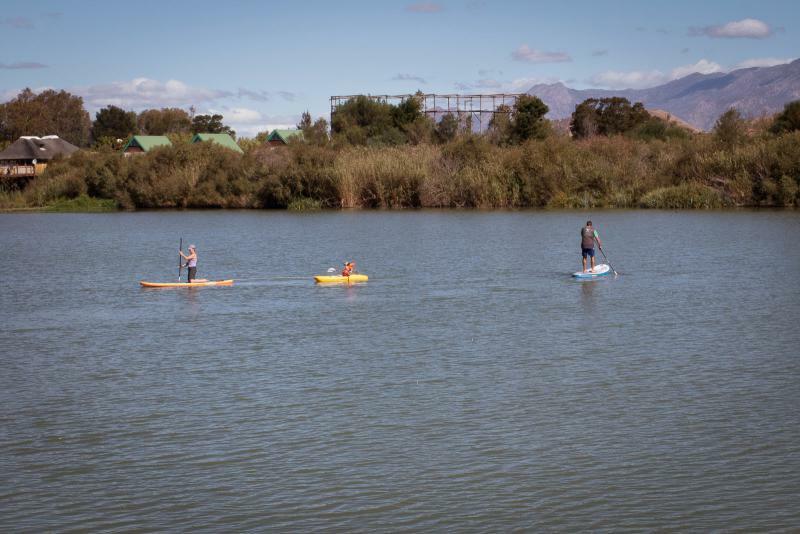 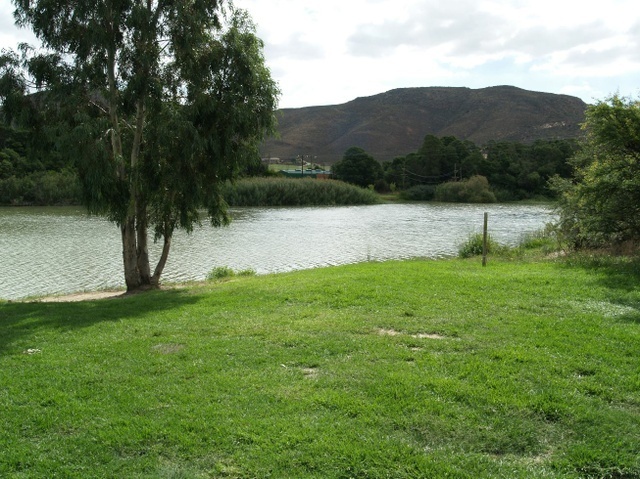 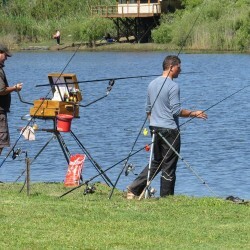 The enchanting waters of the Breede River offers any angler the thrilling opportunity of catching Carp, Black bass, Barbel or Eels. 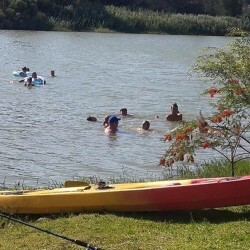 The river with its stretch of 2.5km flat water offers visitors the ideal swimming or canoeing spot. 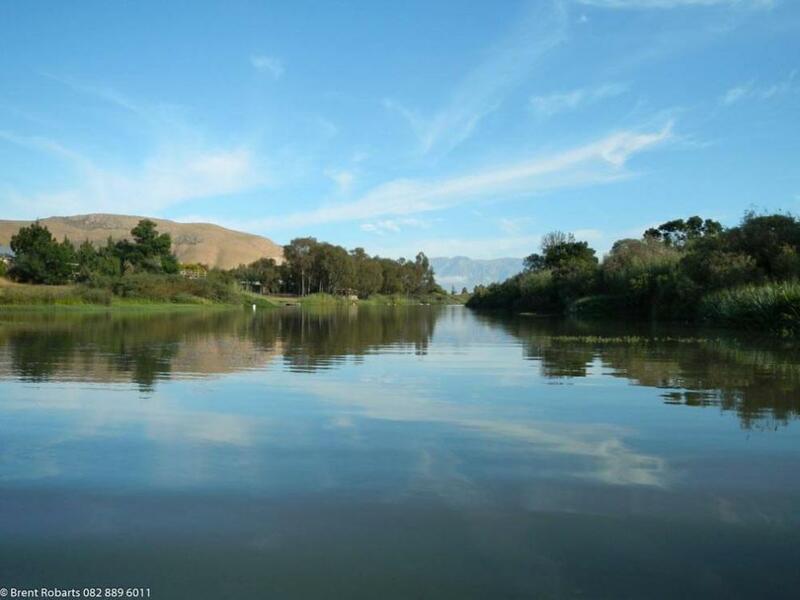 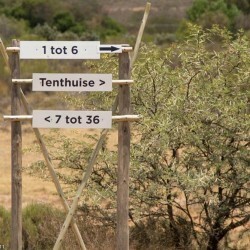 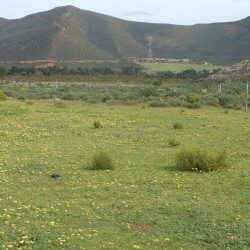 Our 4x4 route and hiking trails will offer you an amazing view of the spectacular surroundings of the Breede River. 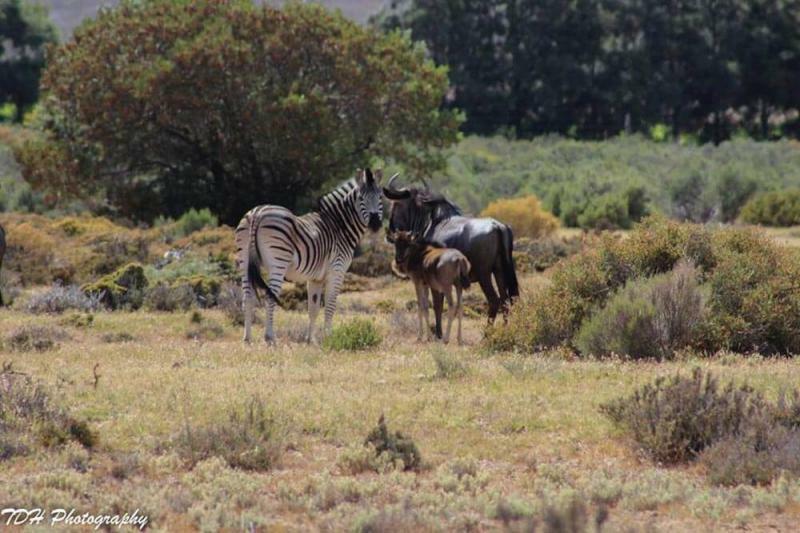 These routes are also suitable for mountain biking and will allow you to get really close to the animals. 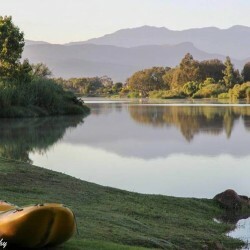 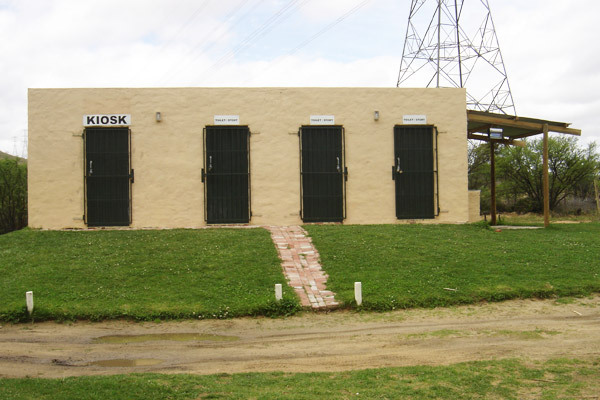 We encourage our visitors to only take photos by which you will be able to remember your stay at Klipkrans but please leave nothing but your footsteps behind. 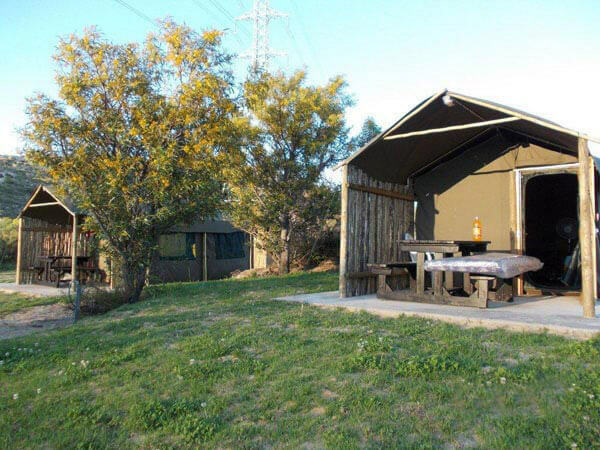 At Klipkrans we have three self catering cottage tents that are carefully laid out so that it blends in with the magnificent natural environment. 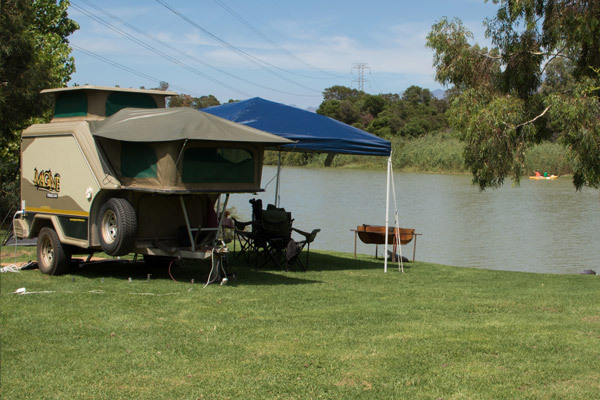 They are fully equipped with beds, a bar fridge, the needed utensils and cutlery so that you may make yourself a nice cup of coffee in the morning as you listen to the birds welcoming the day or enjoy a lovely braai after a fun filled day.